West Augustine Oral History Project Showcases Life in Mid-1900s – St. Johns County, in conjunction with the West Augustine community and Flagler College, has created the West Augustine Oral History Project to showcase first-hand accounts of the everyday lives of the people of West Augustine from the 1930s through the 1970s. Historical Surveys are often used as planning tools in development activities. Historical Survey standards have been set forth by the National Parks Service. This iconic structure stood as the entrance to the Florida Normal and Industrial Institute central campus, which existed in impressive grandeur at the intersection of King Street and Holmes Boulevard. The college purchased the property in 1917 and began classes in October 1918. The report is a result of the necessary documentation required prior to the County’s moving and restoring of the Arch in 2009. The First Spanish Period Pablo Road, and the British Period King's Road were the two more important roads used in colonial times. This report documents the paths of these roads north of St. Augustine through historic maps and papers illustrating the importance of them as public landmarks throughout St. Augustine history. The report also assesses the modern-day location of these significant resources on today's landscape. The rural Hastings/ Elkton area has been a center of agricultural production in Florida for over a century. This report documents the historical development of the county’s agricultural history and the development patterns of these communities. The report provides a detailed analysis of the important architectural styles still evident in historic farmhouses dotting the pastoral landscape, and recommends 10 of these farmsteads for National Register of Historic Places nominations. This document presents the historical development of St. Johns County including economic, social, and infrastructural changes and influences. It also provides an overview of the origins of the many small communities within the County. The final section has a particular focus on the architectural styles represented in the County's historical development. 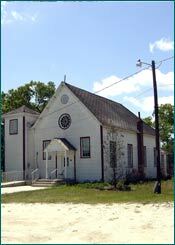 The West Augustine community is the largest historical community in the county outside of downtown St. Augustine. This report provides a detailed narrative of the historical development of the community and assesses the more significant historical structures still standing. 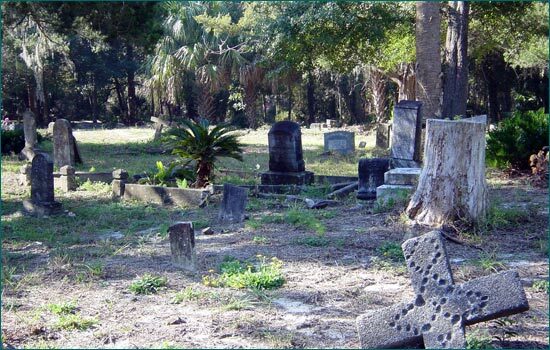 The report also recommends a potential historic district within West Augustine.